How to give better presentations? 5 basics to guide you when preparing and delivering a presentation that are guaranteed to make you a better presenter. Presentations are not very easy, even if you’re a naturally confident public speaker, a single bad slide or small lack of preparation can turn your presentation into a nightmare. 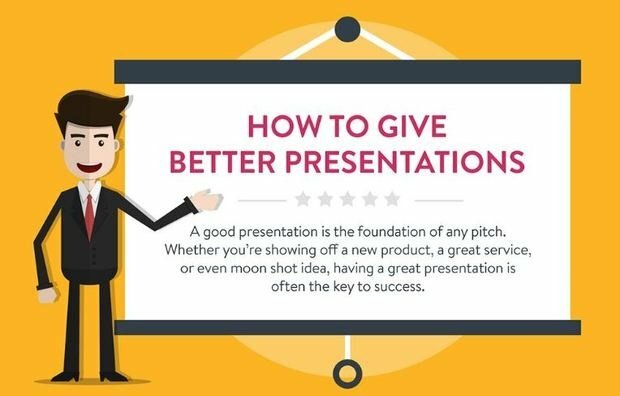 Payfort prepared an infographic with the top tips to help you prepare and deliver the best presentation. Apply the 10-20-30 rule, a maximum of 10 slides, 20 minutes to present and a maximum of 30 points of focus. You don’t need to use flowery language, just cut out any excessive text. Every slide should have a message or answer one clear question. Use your presentations to tell a story don’t make the slides tell the whole story. 90% of your slide should be visuals and 10% texts. Use numbers and statistics to make your point clear. Statistics establish trust and support your arguments. Keep the audience engaged, don’t let them get bored. Ask your audience questions, show audio or video content to keep it interesting, using controversial statements can be helpful but don’t go too far, study your audience well.